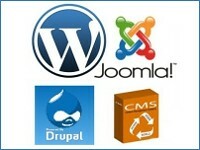 CMS or Content Management Systems are used for administering a website online. With their help you can edit any entry at any page, as well as add different content or special modules. Originally CMS platforms were developed for big corporations, but now many of them are available for free and for any user. There are many ways to use a CMS. Basically, you can manage anything with it — from a blog or an e-commerce website to the enormous Wikipedia. A normal Content Management System has a set of key functions. These are, for example, creating and editing content, keeping information, or controlling changes. All these are basic functions that you need to manage the data of your web site well. 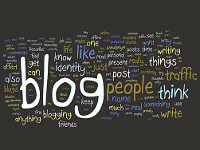 Moreover, if you are planning to start a blog, these functions are extremely important for making posts. The times when you had to code every page of your web site manually is now deep are the past. Now you only need a couple of minutes to start a shiny web site serving as your office in the web. And of course, you can use it for blogging. It doesn’t matter if you want to share your poetry or promote your products — special CMS systems have any tools you may need. So, have you decided to make a CMS-based blog on the web? Then consider not only the basic functions, but also some special modules or plugins that will make your work easier and more efficient. For instance, you can install a SEO plugin on your CMS-based blog. With it every of your new posts will be better “visible” for search engines like Google. You can also ask, if you need a CMS-based website at all? Well, the answer is more less than no. Of course, you can program every page of your site separately. However, using a reliable and time-proof “constructor” is a lot faster and easier. If you want to add some exclusive functions to your blog, you can use plugins or special extensions. Even if the plugin you need still doesn’t exist, developing only a small addition to your blog is much easier than creating the whole website. WordPress. Indeed, this software will be a great choice. Lots of themes, plugins and information on working with it. Oh yes, for today WordPress is the most popular blogging platform. Joomla. Another popular CMS platform. It is used not only for blogging, but blogging is one of its strong points. As soon as you get familiar with it, you’ll notice it powers many popular web sites. Drupal. This is a popular open source CMS that lets you make any modifications you need. However, you’ll need some coding experience for this. Also, you’ll be happy to know that Drupal has a lot of modules with additional functions. DotNetNuke. One of the most popular blogging CMS platforms used at Windows-powered servers. DotNetNuke is written in ASP.Net. This means it will work better with Windows Server software. Text Pattern. Do you want a normal blog with out any exclusive and special features? Then Text Pattern is for you! This blog-oriented CMS base with minimalist admin page and flexible design engine will help you tell your stories with great ease. Finally, we should state that any of 5 CMS platforms we have noticed in our is available for demo download. So, you can try whatever you like, and decide if you choose it for your blog. In any case, we wish you good luck! P.S. And remember, the content of your blog is often more important than its design!